Baum is another American artist whose work resembles Roesen’s. 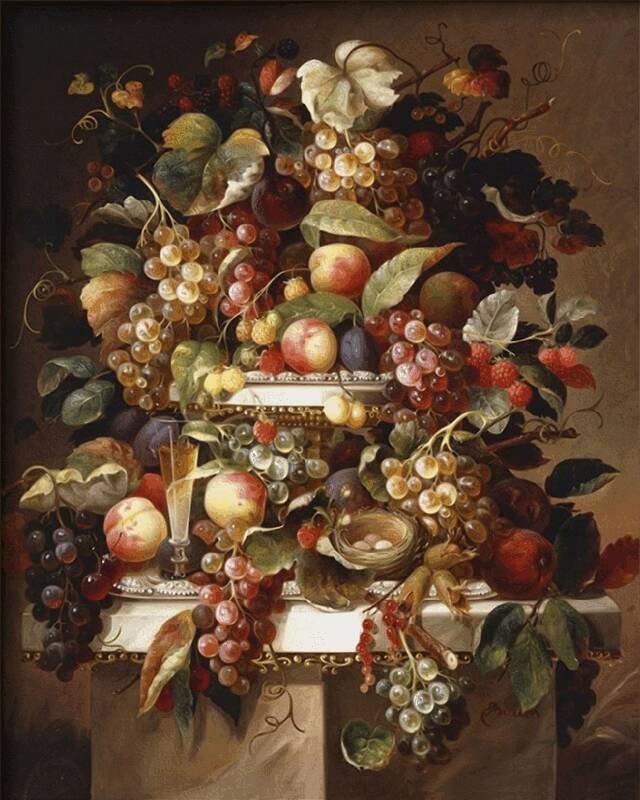 American Still Life has a marble table piled high with an extravagance of fruit. There is also a bird’s nest. The picture is especially full of round fruit – hardly anything is elongated. Even the bunches of grapes make the grapes look fairly rounded, although still oblong. Most of the fruits in the picture are small, on the order of cherries. An orange looks positively huge. Baum also likes reddish fruits. There is a posterized version (4000 x 5000) of Baum’s still life for your music chamber too. 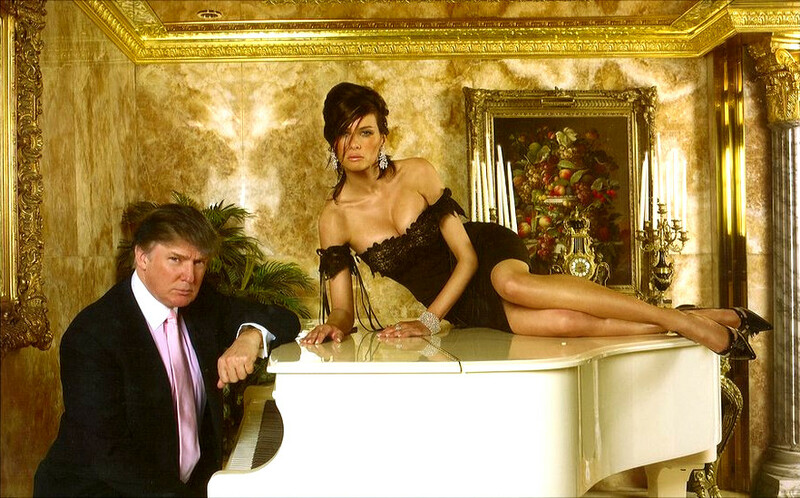 As for the president’s choice, see: Douglas Wilson: About the Chick on the Piano … (2016-02-29).